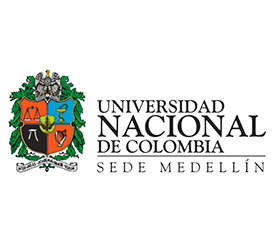 The Universidad Industrial de Santander – UIS invites you to participate in the X International Materials Congress CIM-2019, an academic and scientific event that brings together the different areas of knowledge in the world of Engineering and Materials Science, and is aimed at researchers, scientists, students and Industry in general that actively participate in the broad spectrum of materials science and engineering. We hope to count on your participation and thus contribute with our slogan Materials: Technology at the service of humanity. Abstracts: Authors are welcomed to submit abstracts for oral presentation and/or poster presentation. Abstracts must be submitted in English or Spanish. All abstracts must be submitted to the email: cimcorr2019@gmail.com. Authors must choose a symposium that best fits their work. Abstracts will be published with ISSN registration. Page size should be A4; each page should have clear margins of 4cm (top), 2.5cm (left and right) and 2.7cm (bottom); pages should not contain page numbers, running heads or footlines. The title should be followed by a list of all authors’ names and their affiliations. The style for the names is initials (no periods) followed by the family name. The authors’ affiliations follow the author list. If there is more than one address then a superscripted number should come at the start of each address; each author should also have a superscripted number or numbers following their name to indicate which address, or addresses, are the appropriate ones for them. E-mail addresses may be given for any or all the authors. Maximum length is 220 words. Full papers: The articles presented in the CIM2019 have the option of being published in national and international journals indexed by Publindex, Colciencias. Posters: Bring your poster already printed. There will be no printing services available on site. The suggested printed poster size is 90 cm width x 120 cm height. Plenary Lecturers are 50 minutes; Invited Talks are 30 minutes long; Contributed Talks are 20 minutes. In all cases, questions and answers are to be included within these allocated. The presentation should start with a title sheet (title of the presentation, authors and affiliation). Please keep the number of slides limited to avoid overload of the audience. An LDC projector and a PC will be provided. The presentation must be compatible with Windows 7, Office 2010. The speaker of each paper has to upload and inspect the presentation file before the session beginning (suggested: half a day in advance). In order to avoid delays each ppt file must be properly uploaded before the session starts. Speakers are also invited to reach the conference room 15 minutes before the session beginning and introduce themselves to the chairperson, possibly bringing a brief CV. IMPORTANT NOTE: in case of NO SHOW or CANCELLATION of the lecture, we regret to inform you that the paper will not be published into Proceedings or journals. The scientific committee of the X CIM2019 will only allow two presentations (in modality oral or posters) by inscription, although the participants will be able to appear as co-author in more than two contributions. 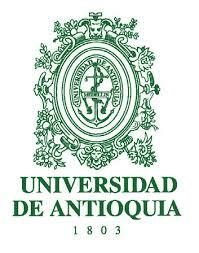 The conference will be held in Universidad Industrial de Santander. CIM 2019 | Todos los Derechos Reservados.